Easy to Use & Powerful Charting Software + 1st Class Global Data, Social Integration, FX, Crypto & Bonds. Is This Simply the Best Financial Market Charting Software Ever? Simple & Extremely Powerful Charting Software, 1st Class Analytics IS THIS the best package available? 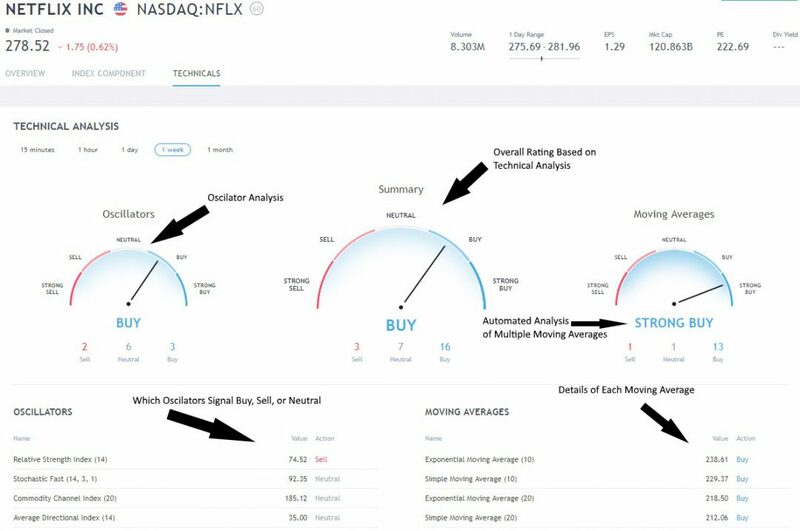 Recommended for Long-Term U.S.A. & International Investors who value a great price, insanely good Fundamental & Technical Analysis with great streaming news engines and the best ease of use. Highly Recommended for U.S.A. & International Investors & Day Traders who Value a Great Price and Insanely Good Fundamental & Technical Analysis. With Great Streaming News Engines and the Best Ease of Use, you cannot go wrong. 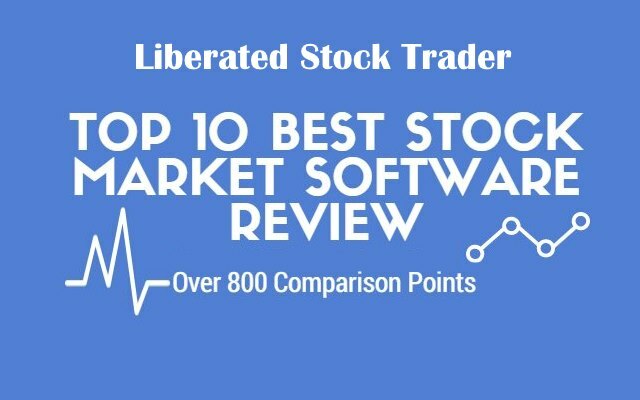 It is really impressive that TradingView has stormed into the review winners section of our Stock Market Software Review in its first try. I now actively use TradingView every day, and it is a key tool in my portfolio. 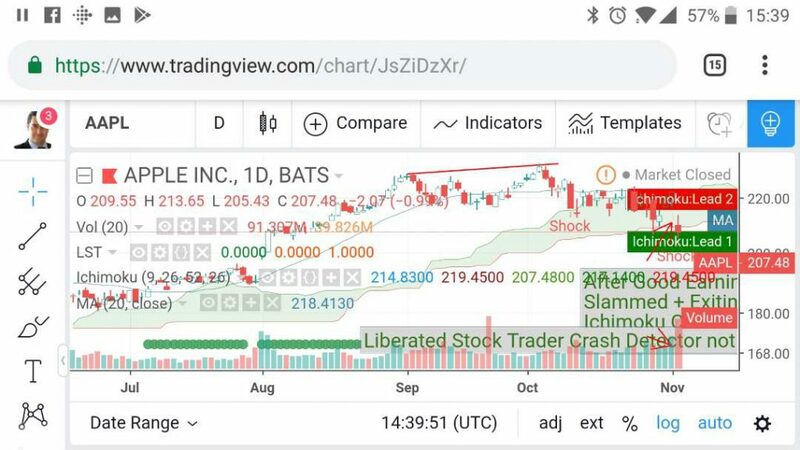 With excellent social integration, chat, news and the ability to follow other investors and view and share trade ideas, combined with global stock exchange data TradingView are one of the global stock charting analysis leaders. You can have TradingView for free, it is also a review winner for our Best Free Charting Software Review so you cannot go wrong. However, there are limitations to the free version which mean an upgrade to a paid service can be worthwhile. You can have TradingView for free, it is a review winner for our Best Free Charting Software Review so you cannot go wrong. However, there are limitations to the free version which would warrant an upgrade to the higher level services. In any case, TradingView is best in class in terms of price. I would recommend going for the TradingView PRO+ at $19.95 per month or the Premium at $39.95 per month, the benefits are extensive including Priority Customer Support and unlimited everything. I use the PRO+ version. If you want the intraday spread charts & custom chats go for TradingView Pro+. In any case, try it out completely Free and play around with it to see if you like it. TradingView runs on PC, Mac, Tablets, and Smartphones and requires Zero Installation, it simply works. The Market data is huge, covering nearly all Stock Markets and it includes Stock, ETF’s Futures, Foreign Exchange & Bonds, all at no extra price, which means outstanding value for money combined with excellent support options. Also, a huge benefit is that the Data Speed and Coverage are mind-blowing, covering literally every stock market on the planet and not just stocks but a lot more. This architecture type means that there is no client software to download and install, and all the stock exchange data resides on the vendor’s servers in the cloud. 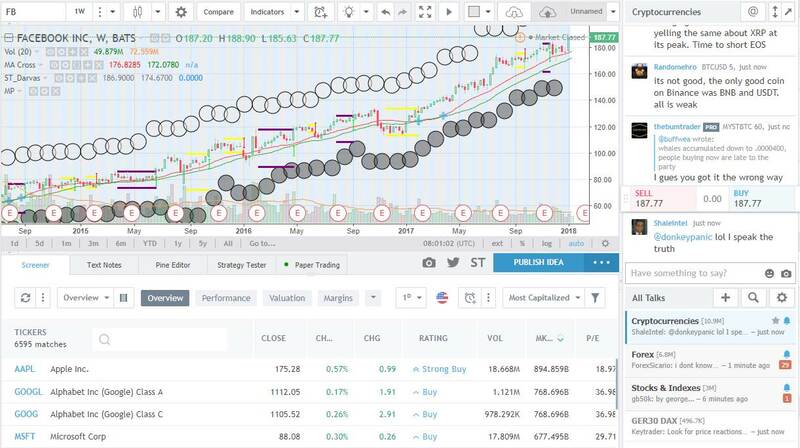 The charting and visualization are all stored and computed in the cloud, and only the chart to want to visualize is streamed to your client device. If you want to learn from other traders and share ideas with others then cloud-based software is the way forward. The simplicity of setup and cross-device compatibility are also deciding factors in choosing cloud-based platforms. 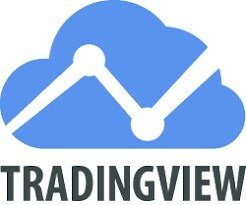 TradingView has the best implementation of cloud-based architecture on the market. Yes for Pro, Pro+ & Premium members you will get the fastest dataflow possible with your data subscription. Can I Trade Bitcoin on TradingView? Theoretically Yes but only outside the USA. You can enable this with an account through a CFD Broker. The reason I say theoretically is that CFD (Contracts for Difference) Brokers will not enable you to fill your Bitcoin Wallet, they will only enable you to have a virtual trade open with a selling price that “should” reflect the current market price. It’s like buying a gold ETF, rather than buying actual physical gold. How to Paper Trade on TradingView? When you are viewing a chart, click the BUY Button and you will be asked to select your broker. Simply select Paper Trading. Another perfect 10 for TradingView as they hit the mark on Real-time scanning and filtering, and fundamental watchlists also. The list of fundamentals you can scan & filter on is truly huge. Any idea you have based on fundamentals will be covered. They even have insane amounts of economic data like Federal Funds Rates and World Economic Growth, thanks to a connection to the QUANDL database. Stock Screener – See the example below to see how powerful and easy it is to use. Forex Screener – shows by default the major and minor pairs and you can add exotic FX pairs. You can filter on rising and falling fx pairs and even set alerts directly from the screener. Crypto Screener – similar to the Forex Screener in power and flexibility. TradingView is built with social at the forefront and it is simply the best to socially share and learn, forget StockTwits, Tradingview is the best. Fully integrated chat systems, chat forums and an excellent way to share your drawings and analysis with a single click to any group or forum. Follow me on TradingView for regular market and stock analysis ideas and commentary. This makes for an excellent way to generate trade ideas or learn from other traders. You have to try it and see it in action to understand the power of the implementation. However, I always warn be careful of who you listen too, you should always make up your own mind. They have also thoughtfully integrated a Kiplinger newsfeed, Stocktwits, and various FX newsfeeds. With a social first development methodology, combined with powerful economic statistics and a solid newsfeed it is a great package. As soon as you connect to TradingView you realize this is also developed for the community. You can look at community trade ideas, post your charts and ideas and join limitless numbers of groups covering everything from Bonds to Cryptocurrencies. They have also in 2018 implemented Video Ideas so that contributors can record a video with the touch of a single button and submit to the community. The news feeds are fully integrated, including Kiplinger, DailyFX, Futures Magazine, FXStreet, and StockTwits. Add that to the social network and you have a great solution. The news service is only second to MetaStock with their Reuters Feeds. With over 160 different indicators, and unique specialty charts such as LineBreak, Kagi, Heikin Ashi, Point & Figure and Renko, you have everything you will need as an advanced trader, day trader or swing trader. I have the Premium membership and with that, you also get Level II insight, fully integrated. TradingView also has an exceptional selection of drawing tools including tools unavailable on other platforms such as extensive Gann & Fibonacci tools. 65 drawing tools and hundreds of icons for your charts, notes, and ideas. So, why does TradingView score so highly and rank as our 2018 trading software winner? Most people do not want to learn the in-depth details of how each indicator works. This innovation allows you to save time, by getting an instant readout of which indicators are bullish, bearish or neutral. This is really well implemented because there are 2 key types of technical analysis indicator, moving averages based on price and oscillators based on price and or volume. The screenshot below shows a stock I have help for a 50% gain over the last 4 months, and it is quite accurate based on my observations. When you view a chart, you can simply click on “Technicals” and you are presented with 3 gauges. Left shows the oscillating indicators like relative strength, stochastics, and Average Directional Index. On the right, you have a selection of Moving Averages, Simple, Exponential and even Ichimoku Cloud. Each indicator is then averaged out to give an overall Buy, Sell or Neutral Rating. This is an excellent implementation of automated technical analysis designed with the user in mind. Example: AAPL Apple Stock Chart with RSI & Ichimoku Cloud. Try this to assess if AAPL is expensive or cheap at the current Share Price. Now you can see if Apple is cheap or expensive compared to its historical Price Earnings Ratio. That’s how easy it is to use tradingView. I was incredibly impressed with the offering of Kagi, Heikin Ashi and Renko Charts including Point & Figure and Line Break. Also, the user community has developed indicators as exotic as Moon Phase (see chart below). With this selection of charts, you have everything you will need as an advanced trader. Plus, with the Premium membership, you also get Level II insight, fully integrated. Well done TradingView. Did I mention the charts are fast and beautiful? Also, for the power technical analyst, they have also implemented Darvas Box, Elliot Wave and Point & Figure Charts. All round an excellent package. TradingView alerts are immediate notifications when the market meets your custom criteria. For example, “Alert me if Netflix crosses $200 up”. You can place alerts on Indicators, Prices or even trendlines, it is extremely flexible. All users can get visual popups, audio signals, email alerts, and email-to-SMS alerts. A Premium plan holder can additionally get real-time server-side text message (SMS) alerts, delivered directly to his / her phone. Good but not perfect. 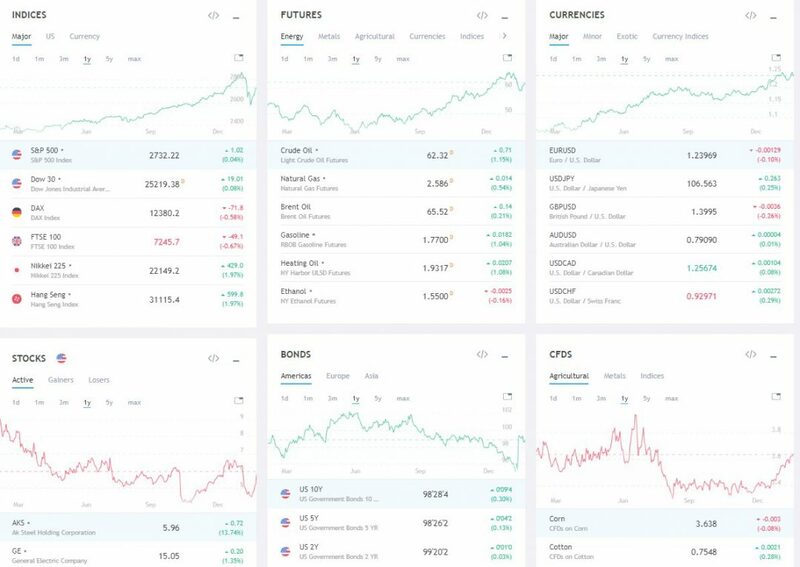 TradingView has an active community of people developing and selling stock analysis systems and you can create and sell your own. Also, there are a huge number of indicators and systems from the community for free. The only things you cannot do are forecast and implement Robotic Trading Automation. For that, you would be better off with QuantShare. For the back-testing element of the TradingView offering, there is a huge selection of systems that you can pick off the shelf and back-test using the strategy tester. You can also implement your own using the PINE Editor, but you will have to learn the proprietary coding for that. Beware, if someone found the magical formula, they would not be giving it away for free in a public marketplace. They would be selling it for BIG DOLLARS to Wall Street Investment Banks. Within 5 minutes I was using TradingView, no credit card, no installation, no configuring data feeds, it was literally just there. 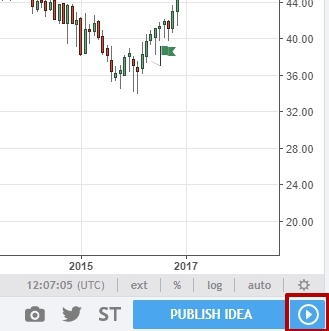 TradingView is up and running with a single click. Click on the TradingView logo on the left and it will be instantly running. It does not get easier than that. Even better is the fact it is already configured for use. All controls are intuitive and the charts look amazing. It is quite a feat that it is so easy to use considering TradingView has so many data feeds and backend power.